Click here for RealAudio3/28.8 stereo version of Snake Dancer, 3:19. Click here for RealAudio3/28.8 mono version of Snake Dancer. Click here for RealAudio2/14.4 mono version of Snake Dancer. Click here to reach Wendy Mae Chambers' new home page. 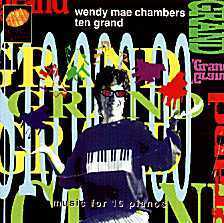 Wendy Mae Chambers is best known for her large-scale events. These include Music for Choreographed Rowboats with 24 musicians in rowboats oared by the Columbia University crew team at the Central Park Lake('79), Ten Grand for 10 grand pianos and laser lights at Lincoln Center Fountain Plaza('83), The Grand Harp Event for 30 harps at the Cathedral of St. John the Divine ('84), Liberty Overture performed onboard the Brooklyn V, a 100-foot vessel, in the New York Harbor for the Statue of Liberty Centennial ('86), QUILL, for six harpsichords and surround-sound bird tapes, at Symphony Space ('87), Symphony of the Universe for 100 timpani, metal percussion, horn soloist, jazz band, choir, organ, and tape at the Cathedral of St. John the Divine ('89) and A Mass for Mass Trombones (a requiem in memory of her father), for 77 trombones at the Cathedral of St. John the Divine('93). 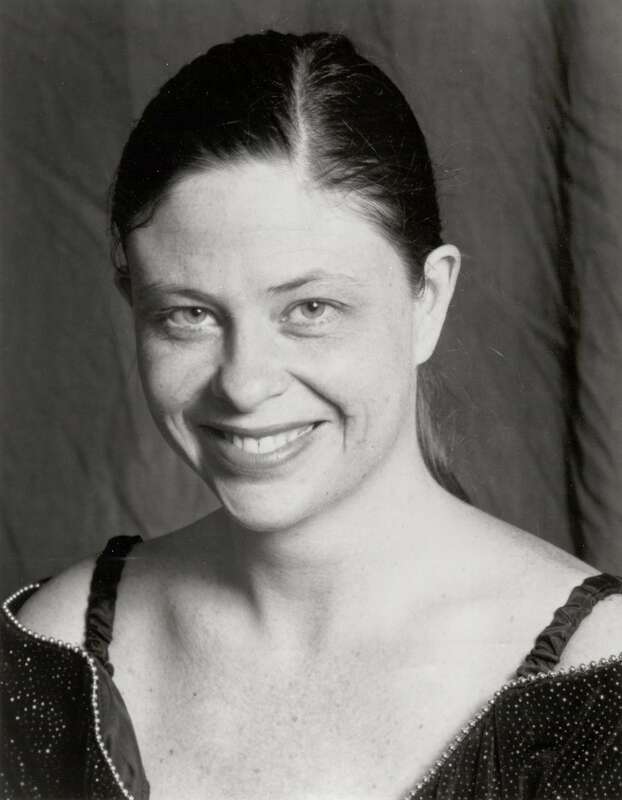 Her latest large scale work is Twelve Squared ('94), a voodoo tone poem in memory of John Cage for 12 percussionists. She was commissioned by the Percussive Arts Society to compose Marimba! for 26 marimbas, performed at the Kennedy Center ('86). 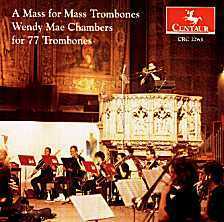 She was also commissioned by the New Wilderness Foundation to write a work for 30 trumpets for their Summer Soltice Event ('85). 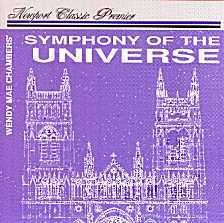 Her music is available on CD, including her A Mass for Mass Trombones, 10 Grand, Symphony of the Universe, and Twelve Squared. According to The New York Times, Ms. Chambers is possibly the world’s foremost virtuoso of the toy piano. 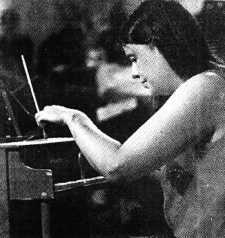 She has made a number of television and radio appearances on the toy piano including CNN and NPR. She is the inventor of the Car Horn Organ. 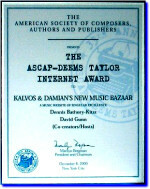 Other credits include two National Endowment for the Arts grants, an American Composers Forum Commission Grant and a CAPS grant (New York State). She founded Artmusic, Inc., which produced the above large-scale events as well as a television series titled Videoville for five years. This was broadcast on WNYC-TV (a PBS affiliate) and on The Learning Channel, a national cable station. These projects were funded by the New York State Council on the Arts. Ms. Chambers has a series of string pieces. She plays the violin. However, the only person who liked her violin playing was John Cage (with whom she worked with on a number of productions). She is currently working on a series of musical Mandalas inspired by her recent trip to Tibet and an Endangered Species Song Cycle. Ms. Chambers is an avid painter, landscape photographer and travelholic with a keen interest in ethnomusicology. 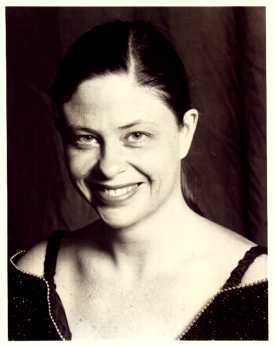 She has a bachelor’s degree in music from Barnard College and studied piano with Kenneth Cooper. She received a master’s degree in composition from SUNY at Stony Brook. 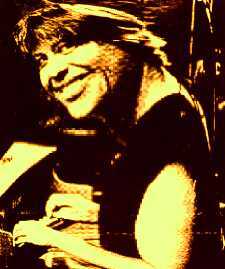 She was born on January 24, 1953, and is currently living in Brooklyn, NY, New Orleans, LA and Harvey Cedars, NJ.